For any person, man or woman, baldness is an embarrassing condition, and it can easily make you feel like you are losing control over your body. For women it can seem even more embarrassing, because with men it almost seems expected, while women are expected to look beautiful for as long as they can. The fact is that baldness, whether male or female, is a hormonal problem, and as women age, their hormones change as well. Though baldness may look differently between men and women, this does not mean that women are exempt. If you are starting to worry about whether or not you have to worry about female baldness, read here to get some important facts on this condition, and find out how easy it is to treat. When it comes to female pattern baldness, the baldness in women looks differently than it will in men. Baldness in women occurs in a more even thinning across the entire head, rather than a specific area of the head. Women sufferers will start to see more and more hair thinning and falling out, in the shower, on pillows, in the hair brush, and in areas around the house. Women with curlier or thicker hair will not notice the thinning or hair loss as quickly as someone with straighter hair, conversely, the lighter your skin tone, the more likely you are to notice hair loss than someone with darker skin. The medical terms for hair loss for both genders is the same – Androgenetic Alopecia. Hair loss for women does not occur as rapidly as it does for men, due to the simple fact that testosterone plays a role in Androgenetic Alopecia, and women simply produce less of it. The primary difference is that generally female pattern baldness appears as a thinning over the crown area of the head, rather than a localized patch of baldness as it does with men. It is also important to know that you are not alone. Female pattern baldness occurs in more than 55% of women as they age. Unlike men however, as mentioned, severe hair loss is rare in women as they simply do not produce the levels of testosterone that men do. Genetics are the key determining factor in whether or not a women will suffer from female pattern baldness. Women will begin to notice the typical female pattern baldness later than men and after the onset of menopause when most cases of female baldness begin due to the amount of hormonal fluctuations. The good news for women however is that because their hair loss does not occur at the same rates as a male, the conditions of patterned baldness are much easier to treat than with most males. So while experiencing baldness may feel much more traumatizing to women than to men, the good news is that treatment is much easier for women than for men. Depending on how severe your hair thinning or loss may be, there is a wide variety of medications and treatments to help. Whether you are looking for natural supplements, or want to try more advanced treatment such as Propecia, the sooner you begin treatment the sooner you will see results. 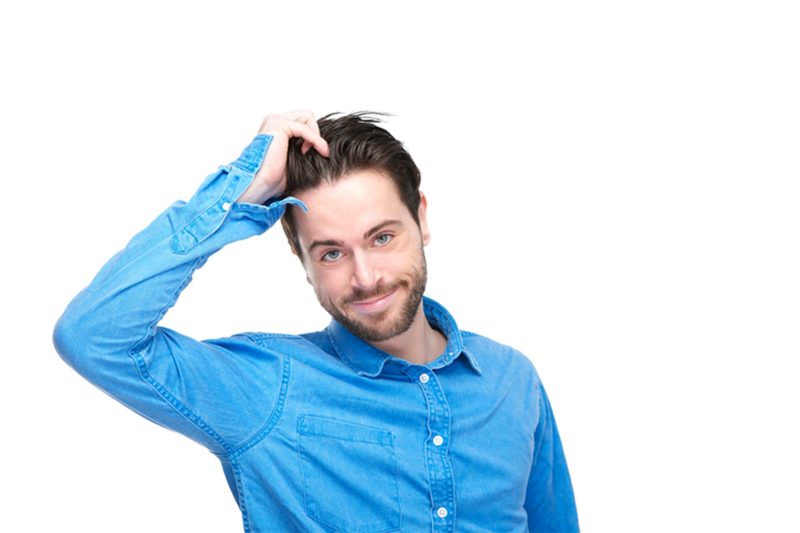 For some women, dealing with it fast and effectively is the only intention, so you may want to talk to your doctor to see if Propecia or generic Propecia will be right for you. Whether you want the go slow approach to hair loss treatment, or whether you want a fast and painless way to go about it is up to you, but the sooner you start seeking treatment, the sooner you will start seeing results.